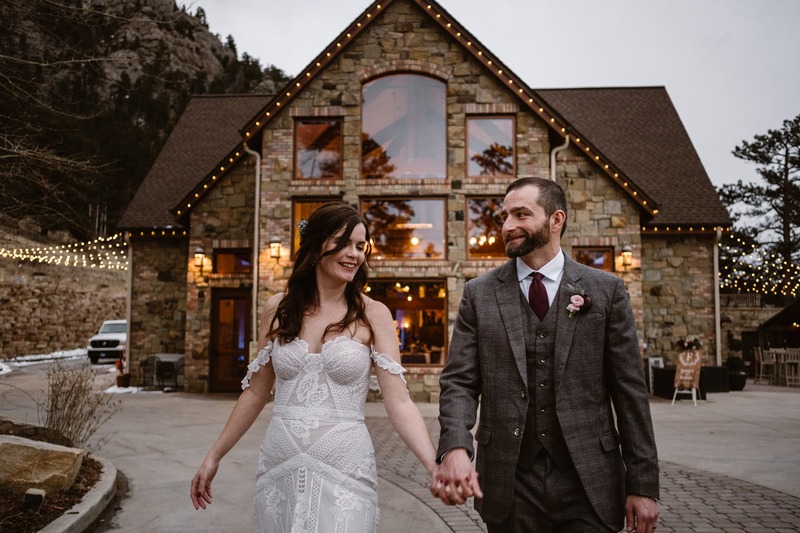 It was a cold and gray November day when I drove up to Estes Park for Jessica and Rafael’s Della Terra Mountain Chateau wedding. I hadn’t seen them since our hiking engagement session at Staunton State Park earlier in the year, but we picked right back up again like old friends. They had intentionally chosen a small wedding with only their closest friends and family. And Estes Park was the perfect place to gather everyone to show off the beautiful Colorado mountains! Jessica’s family is from the small town of Decorah in Iowa, which is known for its Norwegian heritage. I actually spent a day in Decorah while road tripping through the midwest a couple of years ago! 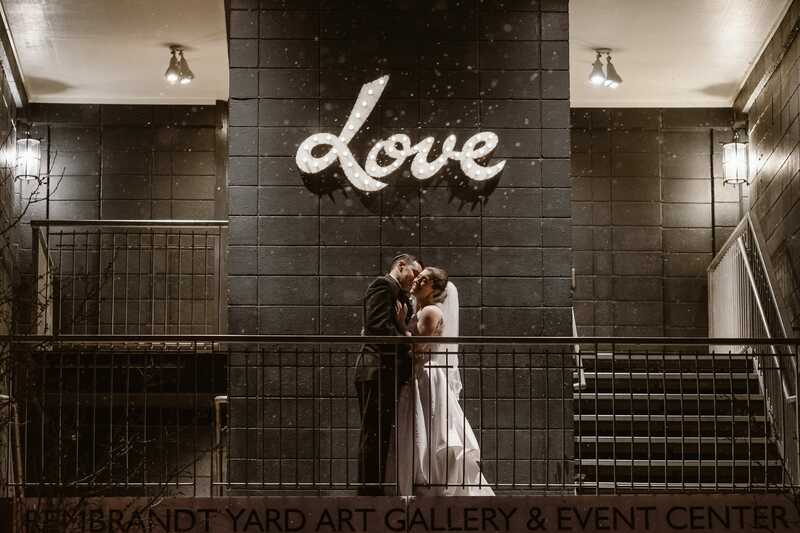 As a born-and-raised Norwegian, I found myself talking about everything from lefse-baking to rose painting with the Iowan guests at this Della Terra Mountain Chateau wedding. Jessica had ordered these beautiful rose-painted table signs and card box from Etsy. She was also wearing her grandmother’s “sølje” – a Norwegian silver brooch! We kept joking that she looked like Daenerys with that cape over her wedding dress, but it was the perfect accessory to her dress on the cold day. 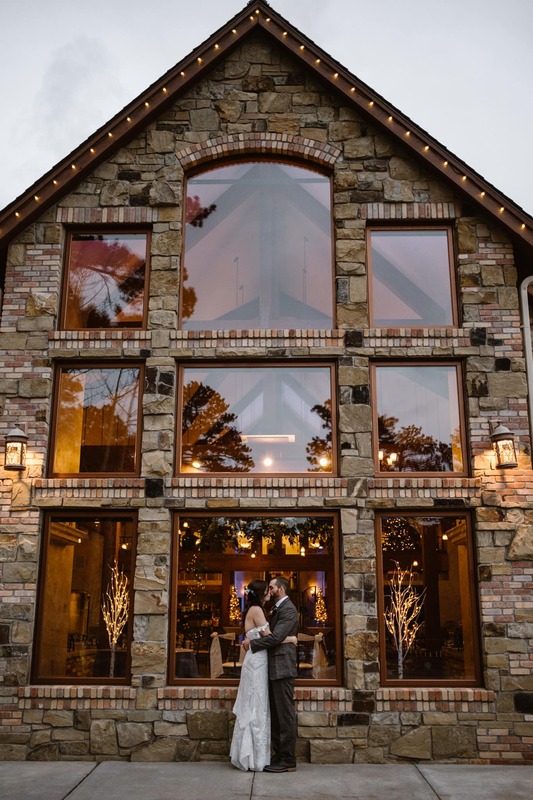 After Jessica and Rafael shared an intimate first look, we explored around the property to see if we could get some mountain views in their photos. At one point I asked Rafael to wrap up Jess from behind and love on her, but to not put his hands on her belly since it looked like a pregnancy announcement photo. Then they looked at each other and cracked a smile, and let me in on the secret that they really were pregnant! (Don’t worry, they’ve already announced it to their friends and family at this point so I’m not spoiling anything 😉 But it was such a fun surprise! Della Terra Mountain Chateau has two different wedding ceremony sites; one outdoors and one indoors. 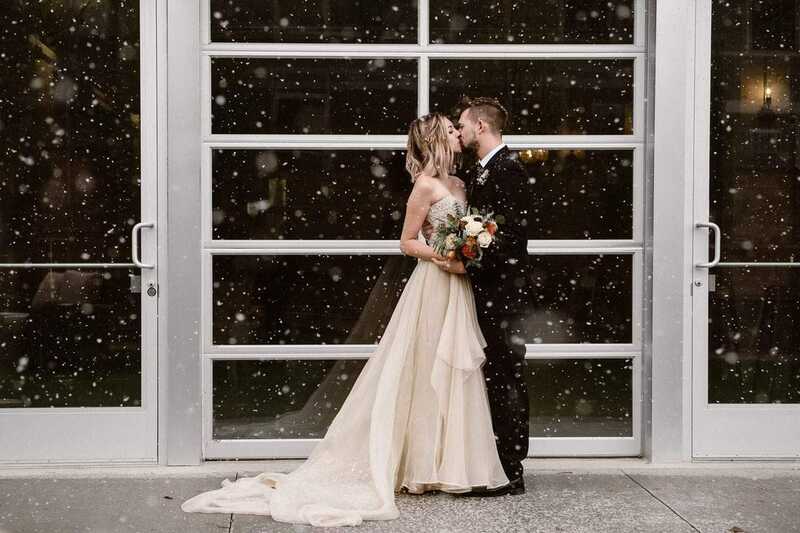 With temperatures in the high 30s this day, we were all pretty stoked for the ceremony to be inside in front of the huge windows. Their florist, Lace & Lilies who are based in Fort Collins, did an incredible job on the hanging floral installation over the ceremony site! If you’re planning a Della Terra Mountain Chateau wedding, I would love to capture your big day. Get in touch and let’s talk! Shoutout to all the vendors who helped make Jessica and Rafael’s Della Terra Mountain Chateau wedding such a beautiful day! 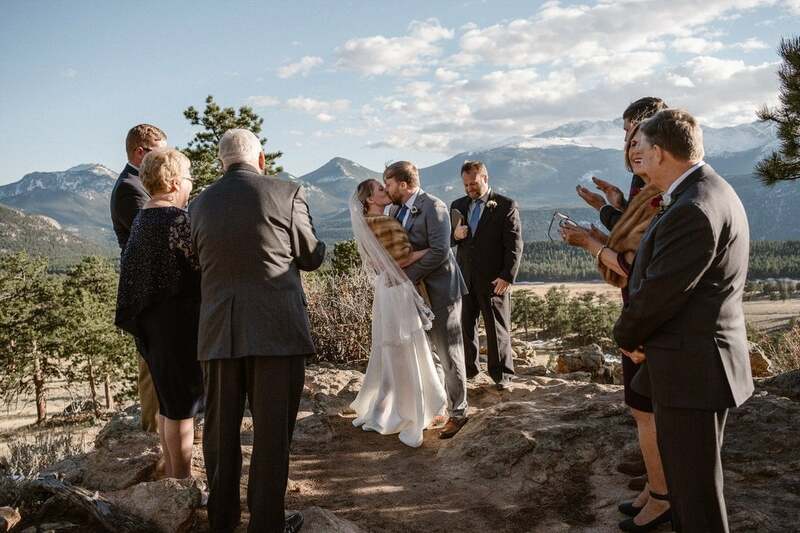 Hair and Makeup: Estes Park Bridal Co.